This week as I walked down Guildford Lane, towards my lunch date at Krimper, I couldn’t help but get a bit nostalgic. 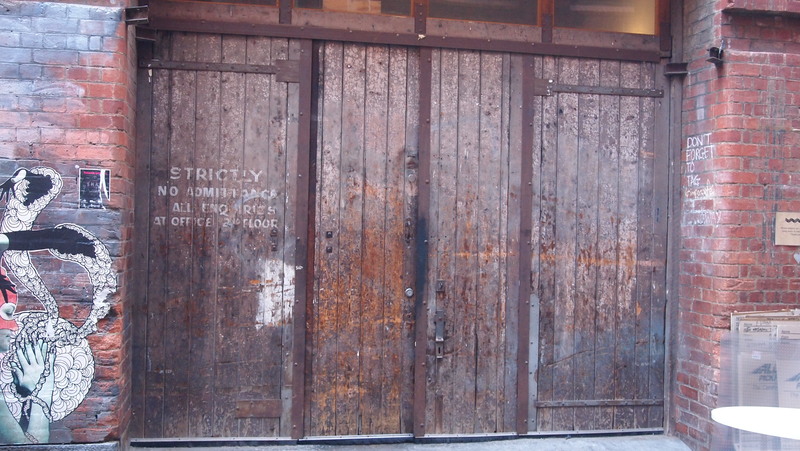 Nothing says Melbourne, like walking down a cobble stone laneway to a café hidden behind an unassuming warehouse door. It reminds me of the very reason I love this city and would never want to call another home, but I digress, so lets talk food. 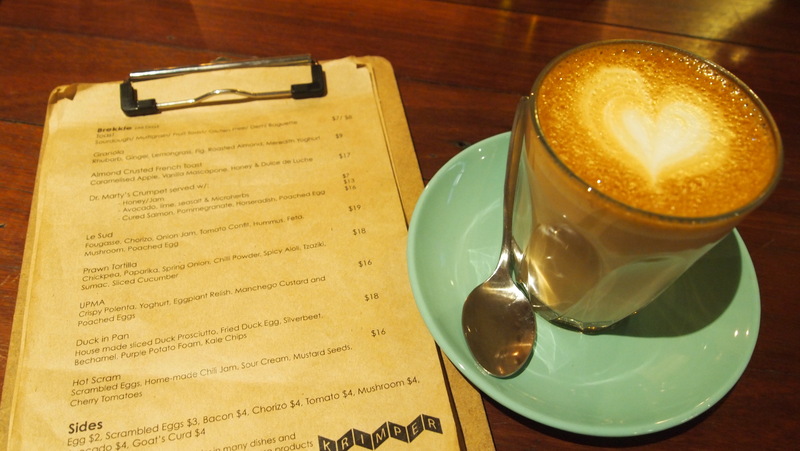 Krimper occupies a very ‘Melbourne’ kinda space. You know the one I mean, the large, industrial, converted warehouse space with lots of recycled furniture (including what looked like a church pew and a funky 70’s style couch) and some serious mood lighting. They’ve filled the place with lots of mismatched odd and ends, but they all work together to create a really relaxed atmosphere. When I opened the understated timber door and walked in I was greeted by a café full of office workers clearly enjoying their lunch break. There wasn’t a spare table in sight and the wait staff were running around from table to table trying to keep up with the lunch time rush. I have to admit I was left standing at the counter for a good 10 minutes before someone came over to greet me which was a tad frustrating, but I could see how hard they were all working, so I cut them a bit of slack. Fortunately, my lunch dates (the lovely Emmy and Sarah from Zomato) had actually arrived well before I had and managed to secure a table in the back corner but I hadn’t seen them from where I was waiting. 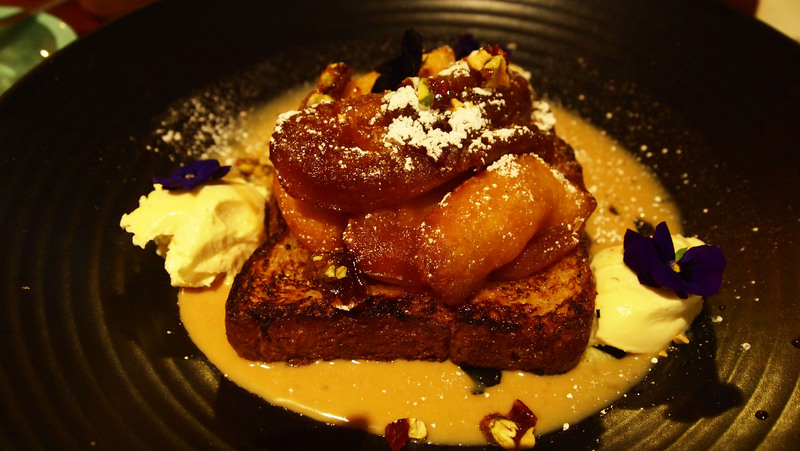 Once seated, I was so busy chatting away that I didn’t have a great look at the menu, so when it was time to order, I did a quick scan and went with the sweet option – good old French toast (almond crusted French toast, caramelised apples, vanilla mascarpone, honey and dulce de leche). The toast was delicious. It was really moist and flavoursome, although I couldn’t really taste the almond crust. There were a number of much stronger elements on the plate, like the beautifully caramelised apples and super tasty dulce de leche which seemed to overpower the crust. Either way, it was a great dish which would satisfy any sweet tooth. I quite liked Krimper and if I still worked in the city, I suspect it’d very quickly become my lunch time go to. Next > Children – Separation Anxiety, Me? Never!